Mountain Office has come to North America. While Mountain Office has enjoyed success in Europe with over 60 installations in some of the finest ski resorts across Austria, Switzerland and Italy, the 1st installation of Mountain Office in North America began in December 2012 at Sugarbush Resort in Warren Vermont, a two mountain ski resort with 18 lifts and 2600 feet of vertical serving skiers from the Northeast and Canada. John Hammond, VP of Mountain Operations, was looking for a system that enabled him to be able to keep tabs on the open items and track them to completion. John laid out his intent at the beginning of the installation and his crew worked diligently to learn the system and build the schedules and structure that was needed to meet everyone's requirements. John and his Lift Maintenance Manager, Scott Crowell, both have the vision to see how the system will elevate their productivity in managing the over 4,000 maintenance schedules associated with the 18 lifts under their care. Scott has said, “the ability to plan out NDT work, annual lift inspections and being ready when the snow flies will be made much more straight forward and allow us to step up the efficiency of our work”. Having multiple ski lifts of varying manufacturers and age, a growing fleet of groomers and snow machines as well as having 80 % of the mountain terrain covered by snow making is a lot for a mountain manger to keep track of from a maintenance, inspection and operational perspective. If you throw in the base lodge, its systems and the facility maintenance, you have a whole lot more on your plate. Mountain Office has the solution. It isn't magic but it has been well thought out by people who understand the complexities of ski resorts and the many factors that keep happy customers on the hill. 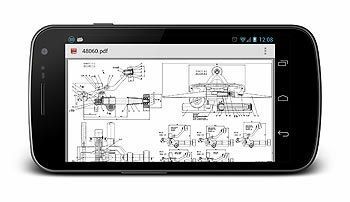 This is a software program that is as rugged as the environment it manages. For anyone who has been involved with software over the last couple of decades, you can remember the frustration of having to change how you do your work to accommodate the system. Not so with Mountain Office. The developers have an extensive background in ski operations, from lift systems to snowmaking and have enlisted the help of the Austrian Research Support Society. Most important is the developers initiated their design with the concept of adaptation to how a ski area functions recognizing that all are different. As the company evolves with its first North American installation it has found that certain procedures that are fairly common in Europe can be somewhat different in North America. This has not presented a problem, situations are reviewed and the ski area has the opportunity to express their needs and solutions are found. There are numerous aspects to this program that enhances its value as a useful tool. The developers have spent time looking at how various ski areas operate and the idiosyncrasies of our industry are incorporated in the various choices they offer; such as how to set up a file, control how schedules get recorded as finished and a variety of print options. 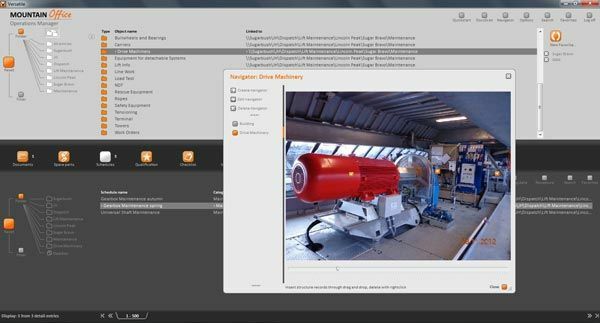 The neat feature of “Visual Navigator” offers the ability to use pictures as a navigation tool, attaching data points to a picture via drag & drop; this allows you to access data quickly and easily. 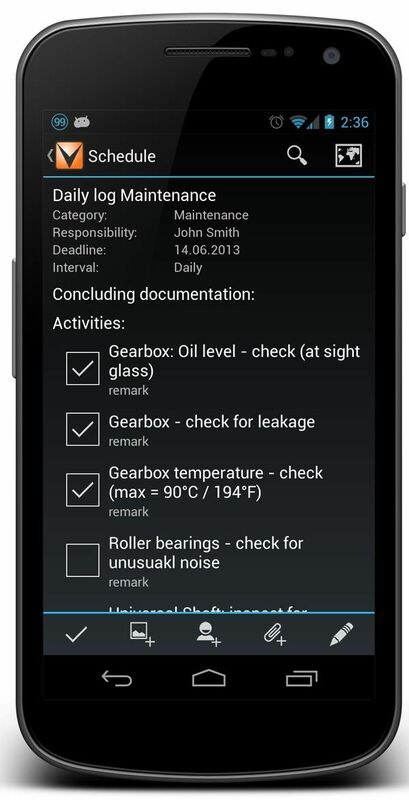 A feature which will be debuting at the Interalpin show is Mountain Office App for Android phones and tablets. 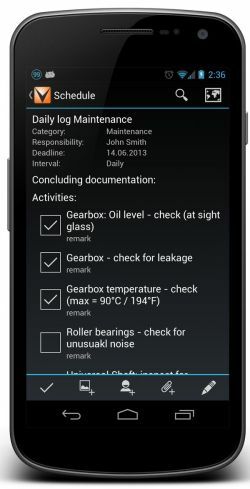 This will enable Mountain Office to fit right in the technician’s tool kits. There is so much versatility that will become available – a schematic available in the top terminal under the EVAC motor, a wiring diagram on top of a tower on a snowy windy day. 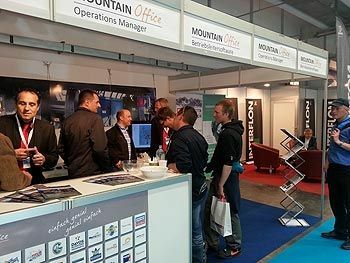 The essence of this software is to enable effective coordination of the many facets of mountain operations and have accountability for completion of tasks/activities scheduled or unscheduled throughout the many disciplines associated with mountain operations. Today’s successes come from having data and making the right decisions. Mountain Office can help your technicians have the right data when they need it to make the best decisions providing your guests with a memorable and safe skiing experience.